Last night was rough. Hands bitched and moaned. My right ankle joined the chorus, as did both hip joints. I was too hot. Then I was too cold. I tossed and turned, trying to get comfortable, trying (with great sighing and grumbling) to fall into a deep, restful sleep. When dawn finally arrived, I rolled out of bed stiff and sore, but relieved to be done with the battle, at least until bedtime again. I shivered. I’d sweated through my thin pajamas several times during the night; they were still a little damp. Jeez. I thought I was finished with menopause. I guess I was wrong. I pulled on my warm house robe, slid my griping feet into my old wool slippers, and padded into the kitchen to make a cup of coffee. I’m on my second cuppa now. I’ve eaten a bowl of steaming-hot oatmeal jazzed up with cinnamon, a little brown sugar and a drizzle of evaporated milk. I’m finally warm and it seems I’ve finished with the “power surges” for now. When I’m done writing this I’m headed for a hot shower and clean, warm clothes. Autumn has arrived about three weeks early here in my little part of Northern California. In spite of the chill – or really, because of it – I’m glad. I’ve always loved this time of year best no matter where in the world I’ve lived. I love the clear, slanty sunlight, the cold nights and the surprise of the first frost, the change in the trees from slightly worn-out green to brilliant yellow, orange and scarlet. I love the snap in the air and the chill on my cheeks, the breezes that pick up, carrying hints of ice in them, and an excuse to wear a sweater and fuzzy socks. Fall energizes me. October is my birth month, so maybe that has something to do with it. But I don’t look forward to my birthdays anymore. When I reach the Big Day this month, I’ll be 53. One-half century plus three years. It’s funny. When I hit the Big 5-0 it didn’t bother me much. It gave me pause, sure. Fifty years on Earth, I understood, gave me a slightly more nuanced take on the world than those younger than me. My children were grown. I’d lived through personal hard times and through troubles that affected the rest of the world as well. We hadn’t, after all, been vaporized or irradiated to death by a Soviet nuclear bomb, though we’d discovered we faced other man-made dangers equally as serious. 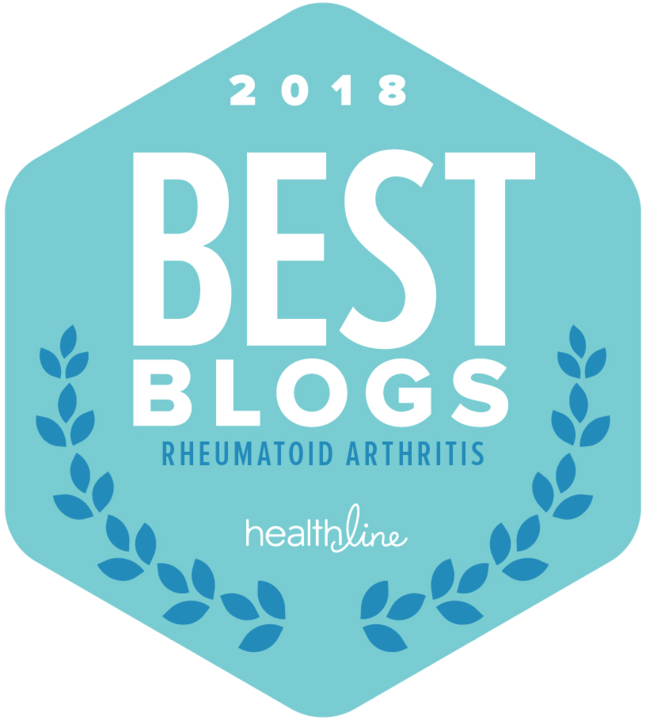 I’d endured more than 10 years of severe, agonizing rheumatoid arthritis – but then enjoyed nearly that long again free of RA pain after the disease went into “remission.” I’d done a lot of the things I’d always wanted to do and a probably a lot more that I hadn’t, too. And I was good with all of it. My outlook is less rosy these days. The rheuma is back. As it did the first time I had it, it’s slowly, slowly ramping up, even though this time my arsenal of medical weapons is much better. The enemy advances anyway. This time, I’m not in my 30s. I don’t have the same energy level as I did then, and when I remember how the relentless, grinding pain of the disease flattened me in spite of being younger and stronger, I quake a little inside. Don’t get me wrong – I’m grateful that it hasn’t reached that level of severity yet this time, and I haven’t lost all hope. But living awhile has also made me a lot more pragmatic. The reality is that the rheuma’s getting a shade more painful and debilitating each day in spite of the powerful medications I’m taking. The reality is that only a small percentage of those who take these drugs get great results. I know they have the potential of slowing the progression of the disease, but to me it means that instead of finding myself crippled next year or in five years, I can maybe put that off for some longer period of time. Or maybe not. 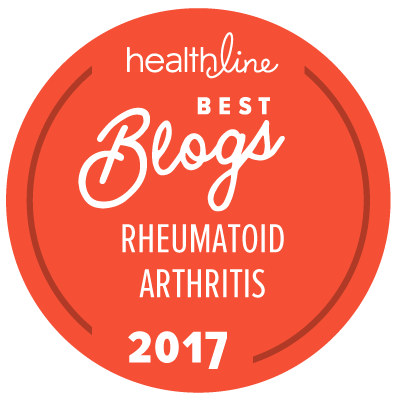 Rheumatoid arthritis is notoriously fickle. So, as the 53rd anniversary of my birth and the 23rd anniversary of my diagnosis of RA approach, I find myself pondering the future in a way I never have before. Will I be able to work outside my home for much longer? If I can’t, will I be able to find a way to make a living from home in spite of my disability? Will I have someone in my life able to help me get through the days if I end up in a wheelchair? What if my hands are ruined? I already know what it’s like to be occasionally disabled by pain and stiffness. I cope. I smile and work hard not to let it destroy my love of life or to affect how I treat and interact with my loved ones and the world at large. I smile in spite of rheuma, but I’m sure not fond of it. The far-off future was always a mystery to me, but to my mind, it was an exciting one. I’ve always loved adventures and I’ve never feared being lost. I’ve always found my way back home, relatively unscathed. The unknown beckoned to me, even during the hardest years. It still does, but this time I’m wandering down the road of my future with a certain apprehension instead of running ahead heedless. I know there are hard climbs and high cliffs out there in the mists. There are dragons to fight, so I must be ready and well-armed. I know I need to conserve my energy for those times when I’ll need it. And then, just as the drama is closing down around me, I remember that there will also be good times on the road to my future. There will be warm fires and sunny days, times of love and comfort among friends, family and even strangers. I’ll make new friends and find new pastimes, and because I’ve grown a thicker hide and I’m tougher than I look, I’ll get by. More than just get by – I’ll live as well as I can, as gently as I can, and with all the love and courage I can muster. I’ll enjoy the colors of autumn, the renewal of winter solstice, the hope of spring and the comfort of many more summers to come. You know, it really is still an adventure, isn’t it. Cross-posted to Blue Wren // Photo copyright Leslie Vandever, 2007. Your blog caught my eye because of the beautiful autumn picture and the start of your post. Your night could have described my night last night to a tee! I’m only 41 but getting those hot (and cold) flushes early. Thanks for stopping by and commenting, and for the compliment on my photo. I’m sorry you’re facing hot flushes so early — they’re so uncomfortable! I hope the change goes quickly and smoothly for you. It started for me in my early 40s, too, but not as night sweats. I just got real cranky, which was unusual for me at the time. St. John’s Wort helped a lot. And today, grape seed extract and cutting way back on caffeine has helped with the sweats. Good luck! I’d heard that soy is supposed to be hugely helpful and indeed just read some article saying they a clinical trial has been done on an extract of soy and it helped in 59% of the cases. Trouble is I haven’t found anything with significant amounts of soy in it that even comes close to palatable! I’m not real fond of soy either, at least not in tofu form. I use Silk (soymilk) creamer in my coffee now, though, and if I eat cereal, I use the regular Silk soymilk. I couldn’t get myself to try it for the longest time — sounded awful — and I was very surprised how much it tastes like milk. Not bad tasting at all. Have you tried fresh edamame (green soybeans, found in the produce or frozen sections at the store)? They’re good in salads, etc. Actually, I think the cutback on coffee was the biggest factor in lowering the number (and the intensity) of the hot flushes I was having. I’m down to just four cups a day, and those are all made with half caffeinated coffee and half decaf. I’ve been a true coffee addict all my life — I never thought I could do this. But hey. Anything to stop those awful power surges! Hope you find the answer to yours soon. Your writing is impeccable. Sometimes I feel as if I’m reading a story. I tend to get caught up in your posts very easily. There were moments in the posts where I said “oh my god, what do I have to look forward to”, brought some realizations about RA to me and I guess I need that. Sometimes when I’m doing well I forget that I even have it or hope the diagnosis was wrong. Then I reached the end of the post feeling as if I was going to be ok (even though the post was about yourself). I hope this makes sense, I guess I just saw pieces of myself while reading.